How do I embed a matplotlib figure object inside a WxPython panel? I googled around and saw complicated examples involving interactive graphics and other extra stuff. Can anybody help with a minimal example? Not the answer you're looking for? Browse other questions tagged python wxpython matplotlib or ask your own question. How to to embed matplotlib.pyplot in wxpython? Why can't matplotlib plot in a different thread? Do text / number input fields exist in matplotlib? 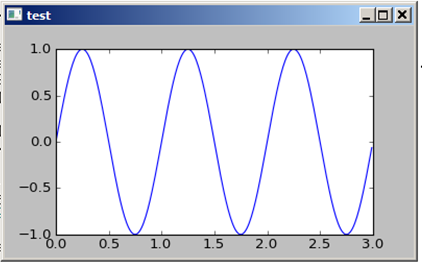 How to redraw a mathplotlib figure in a wxpython panel?